Bike It! Bellagio Climbing Challenges! The Madonna del Ghisallo, symbol of the Giro di Lombardia and true heart of Italian cycling, is just up the road from Bellagio, the “pearl” of Lake Como, Italy. 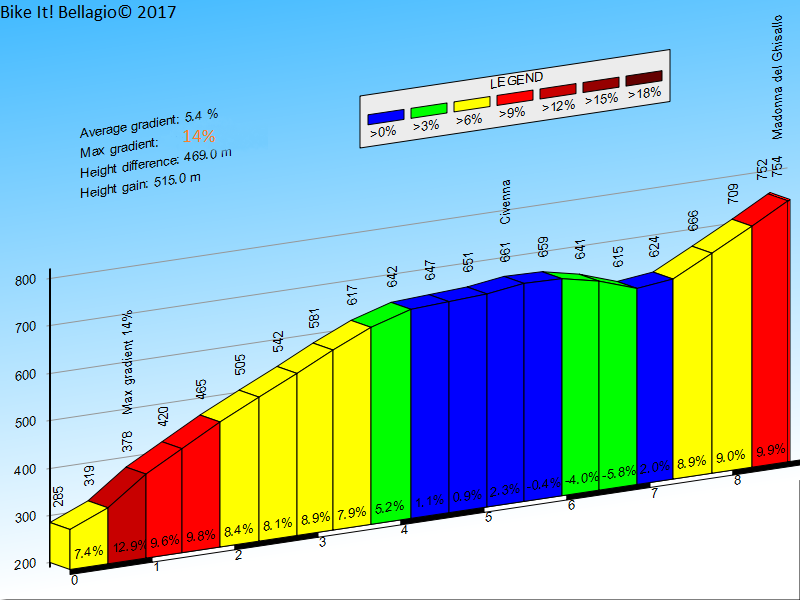 This climb is legendary, consistently present in the Lombardia, and sacred, as on top of the climb you can find the Madonna del Ghisallo Cycling Sanctuary and the Ghisallo Cycling Museum, two special and unique places that will take you back to when the sport of cycling truly began. The climb can be tough in some sections, but the views and the fact that nearly every famous cyclist has ridden the same road, will make it the experience of a lifetime. ​Climb it! Join the challenge. Kelly from Squamish, BC destroying the MDS! Give the infamous Muro di Sormano a try … it’s the toughest bike path in the world! With an average 18% gradient and max 25%, this 1.7km might be one of the toughest climbs you ever attempt. Staying on the bike for the entire climb is a challenge itself! 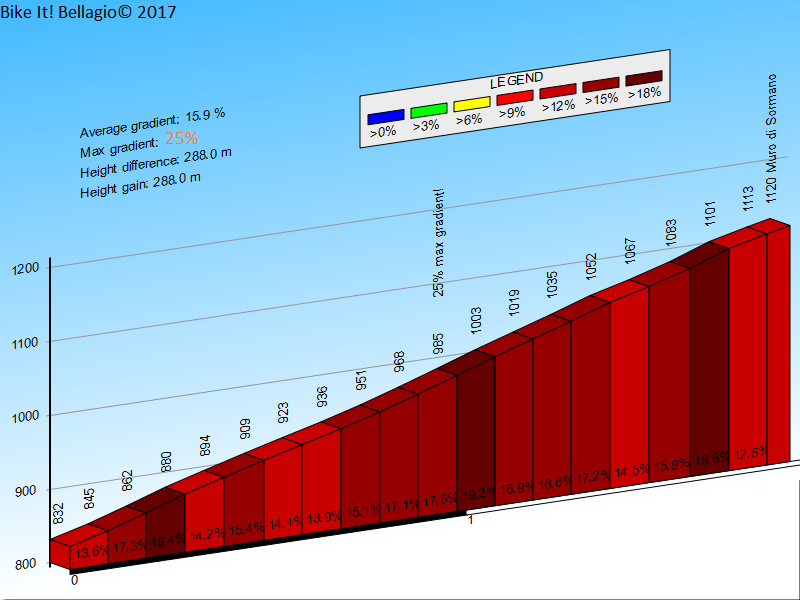 Distract yourself by reading the altitude each meter of the way (also letting yourself know how much is left) and by reading some famous quotes about the impossible Muro. Climb it! Join the challenge.